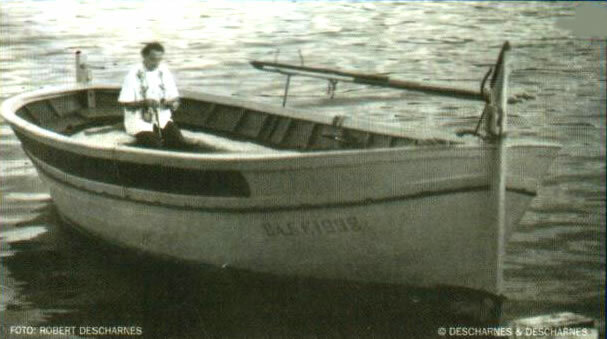 About 85 years ago, Mr. Delfo Pascual, after a long apprentice ship of Calafat (traditional boatbuilding) began to build his own boats. Word soon spread amongst the fishing community of his skill in the field of boat making, to the point where before he could finish one boat, he had orders for one or two more pending. News spread rapidly along the coast of Girona, of the stability of his boats (this was due to a new system of three keels, the normal central keel and an additional 2 shorter keels) which for the fishermen was a necessity. 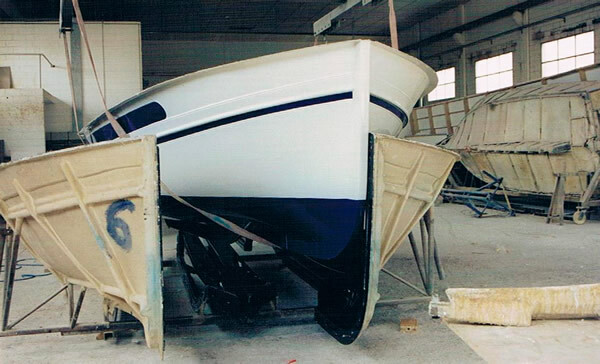 This distinguished achievement set new standards for the catalan boat builders in many other areas of the med. Also, due to the fine finishing of his boats, it gave way to sea lovers from all over to start enjoying the wonderful coastline of the Costa Brava for themselves. As word spread of these new boats, it soon came to the attention of Sr. Dali, who was an avid lover of the sea all his life. 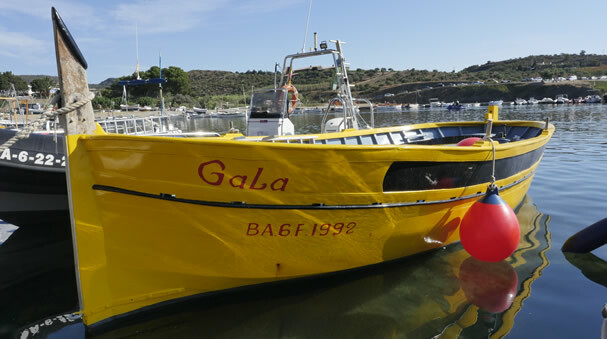 He went to see Sr. Pascual and ask him to make a boat for him and his wife, this boat is the famous “Gala”, which after several restorations, continues to navigate the coast of Cadaqués, providing excursions for tourists, summer after summer. From here on in, it can’t be denied that this was a good starting point for Pascual, because people were talking more and more, especially when they seen snr. Dali finally had three boats made for him by snr. 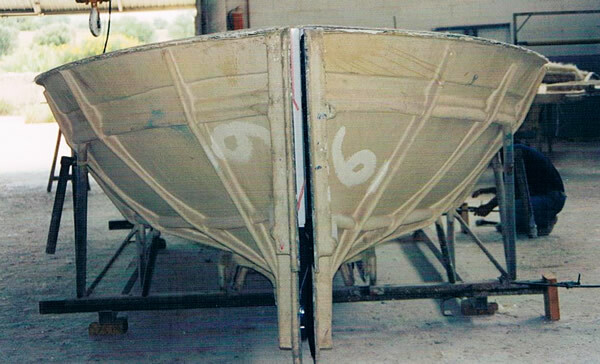 Pascual, and so began his recognition in the very difficult world of catalan boat-building. Even today in Port Lligat, in front of the house of Dali, you will find more than a dozen boats from Pascual, although most of these are from the second period of fabrication, and are made from polyester. The son of Sr. Delfo Pascual grew to have even more of a passion for boats and the sea than his father. Normally Joan would finish school, grab a snack and go straight to the work shop to keep his father company and loved when his father explained the work and even more when he gave him small jobs to do, loving the thought he was helping create another “Llagut català” (catalan boat). 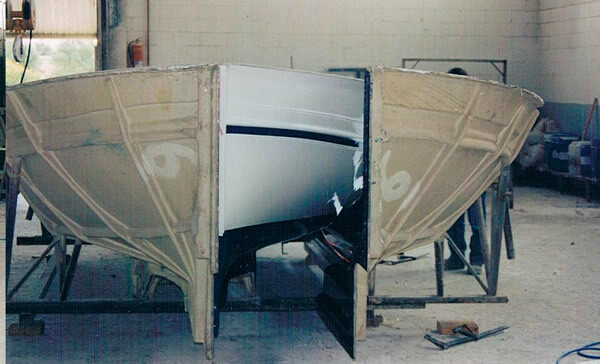 As the years passed Joan left school and went directly into the family business, and, as he gained experience his vision was to take the Pascual boats to a whole new level. He saw how the clientele wanted to buy boats but the yearly maintenance of wooden boats was very expensive, and as such fewer people ventured into owning their own vessel. Joan spoke to his father about his idea of making a series of the boat in polyester, with a much cheaper and faster manufacturing costs, and a meagre annual maintenance cost. 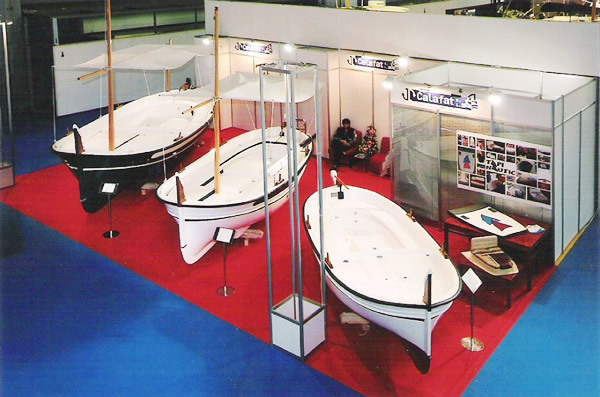 At around twenty years old, Joan was up against a wall of negativity from his family, who all thought him crazy, luckily for Joan his father decided to let his youngest son try make his vision come alive, which was to be the start of his solo career in boat manufacturing. First he had to learn how to fabricate with glass fibre, which materials to use, how to use these materials to achieve the best possible results in the fabrication of polyester. Then how to make the mouldes to fabricate the various components of the boat, all of this took months as at this time other people who worked in this field were very guarded in the manner of fabricating with this material. And here began his ordeal, doing tests, piece after piece, armed with a minimal knowledge of these materials, until finally he found the method, and his first piece came out perfect, his hard work and enthusiasm finally paid off. In total two years of hard work, hearing how he was wasting his time and money day after day paid dividends he finish his first boat… and sold it. One of the happiest days of his life. After the launch of his first new edition, Pascual came one order after another... In just a couple of years the company grew from the three family members to having to increase staff year after year, and finally moving larger premises. Joan’s vision did not end there… He moved on to design a new type of glass bottomed boat, where people could sit under the water level, looking through windows in the side of the hull, and witness sea life underwater for themselves, which until now had been impossible. But been a very humble man, he never gave a thought to patenting his design. Now this boat has been copied countless times and can be found all around Europe, wherever there is a coastline with beautiful marine life. In 1990, the writer A. Font released a book of catalan businesses. Joan finally gained recognition for his part in the development and manufacture of the classic style of catalan boats, and to this day still works hands on to give a product personalized to every individual clients taste, although he has gained recognition in his field, he still maintains he’s not an entrepreneur but just a simple working man who is passionate for his work. Perfection is the only standard acceptable for every boat he make, he repasses everyone personally as he needs to make sure the delicate touches have been met for every one of his boats before it leaves his workshop, the optimum perfection for the optimum perfectionist. After many year of changes and innovations in the company, Joan decided to stop constructing the larger boats, catamarans, glass bottomed boats etc. Instead he decided to go back to the roots of business and fabricate the traditional catalan boats that started with his father, only this time he had decided to evolve the process in as much as now he would make the boat to suit every individual clients taste. The biggest part in coming to this decision was the death of his father, the man who taught him his trade and helped make him the expert in his field he is today. As a further mark of respect he changed the name of the company to “J.P. Calafat”, the “J.P.” being his own initials and “Calafat” for the artisan trade of wooden boatbuilding, the trade of his father. To this day Joan makes each and every boat in this very special manner, welcoming visits from his clients during the construction of their boat for each and every client. 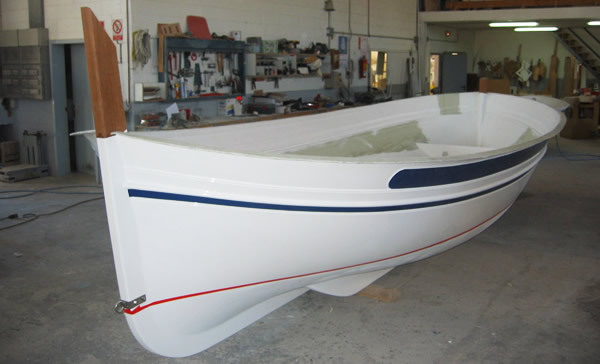 In the world of boat building Joan has created a truly beautiful product, from his use of only the very best materials, to the care and attention to detail in achieving the very highest quality finishing on each and every boat he makes. 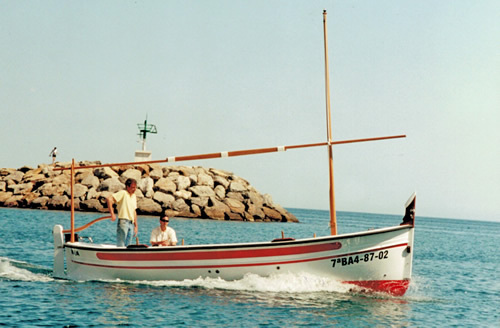 To all those who already know him, Joan would like to thank them for the years of loyalty and trust they have in him, and more, for helping create not just a great company, but a vast family of lovers of the original “catalan boats” created by Joan and his trusted employees at J.P. Calafat. And to all of you who as yet we haven’t met, we look forward to welcoming you to our exclusive family.